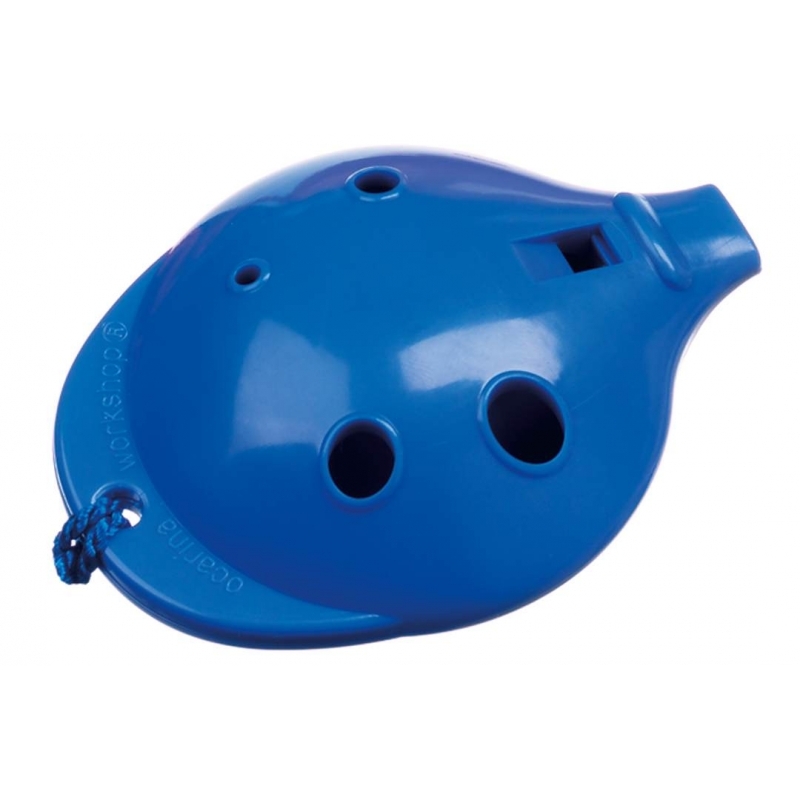 The 4-hole Oc provides instant success and a surprising range of notes. 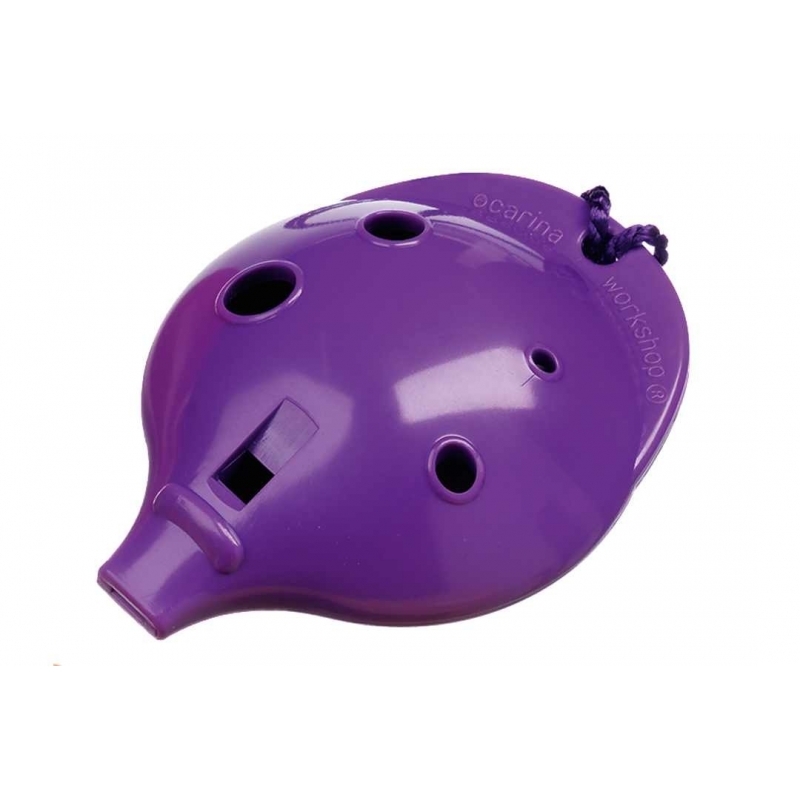 Just wear round your neck, cover the holes with your first two fingers, and breathe steadily into the mouthpiece. 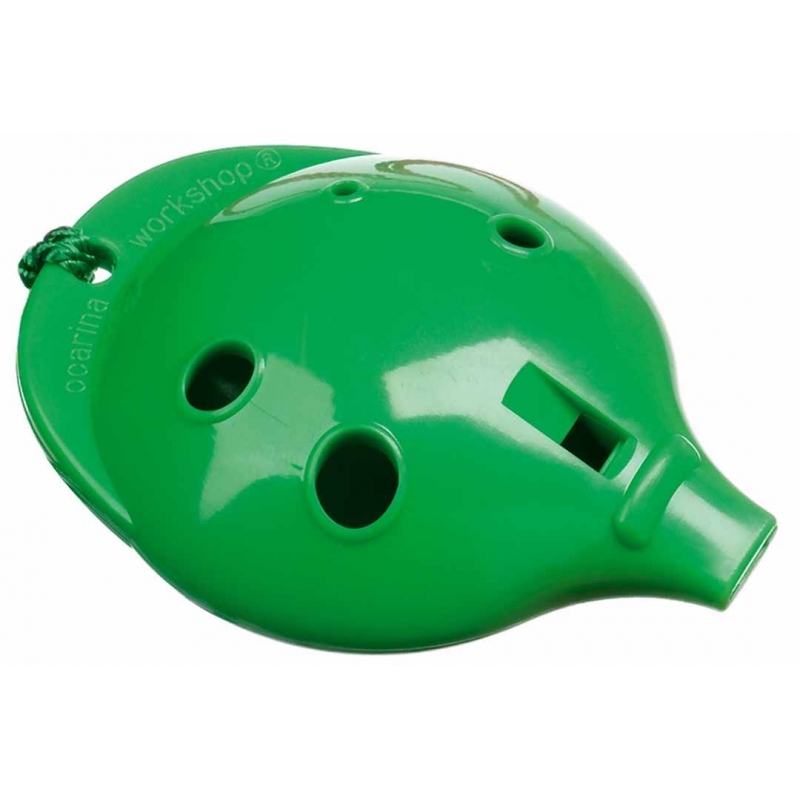 The pure sound blends well, even in groups of 30. 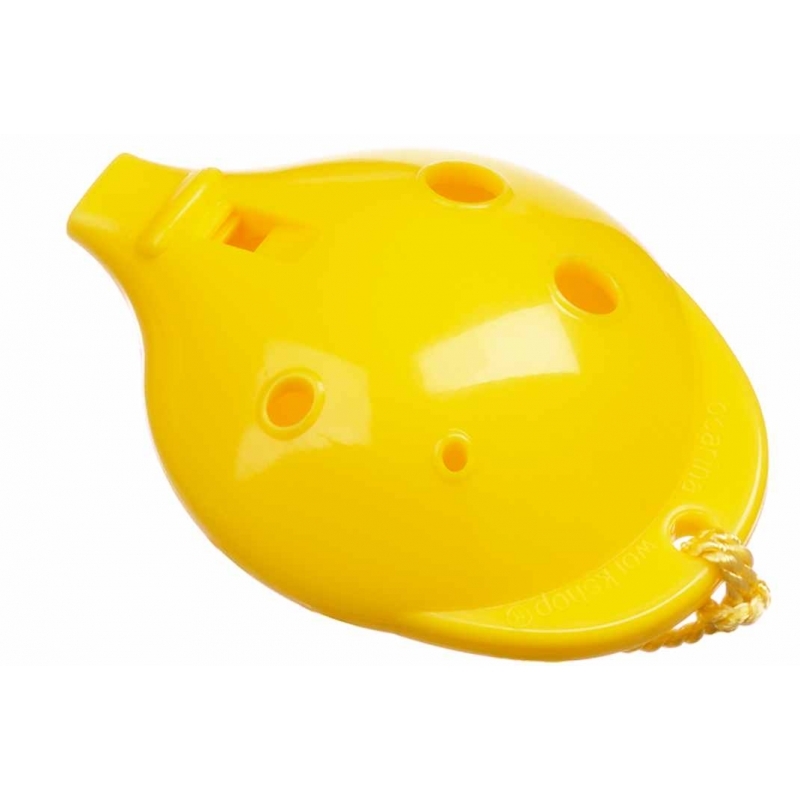 And the Oc cuts out if blown too strongly! 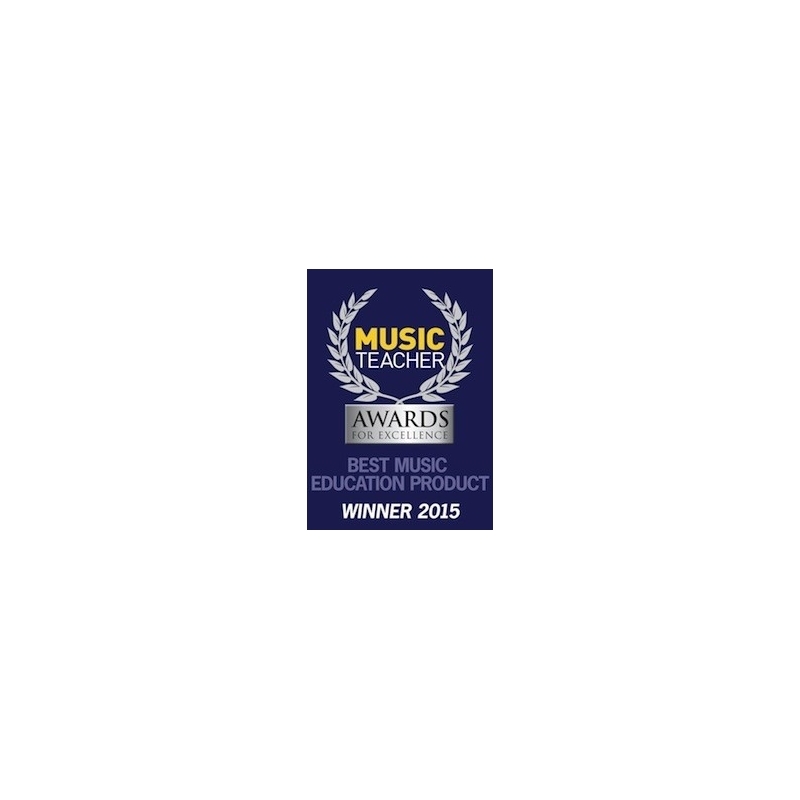 This award-winning instrument was announced "Best Music Education Product" at the 2015 Music Teacher Awards. 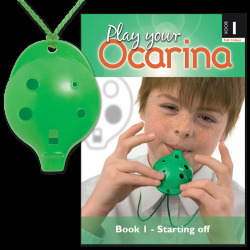 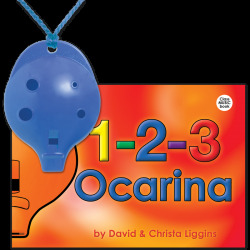 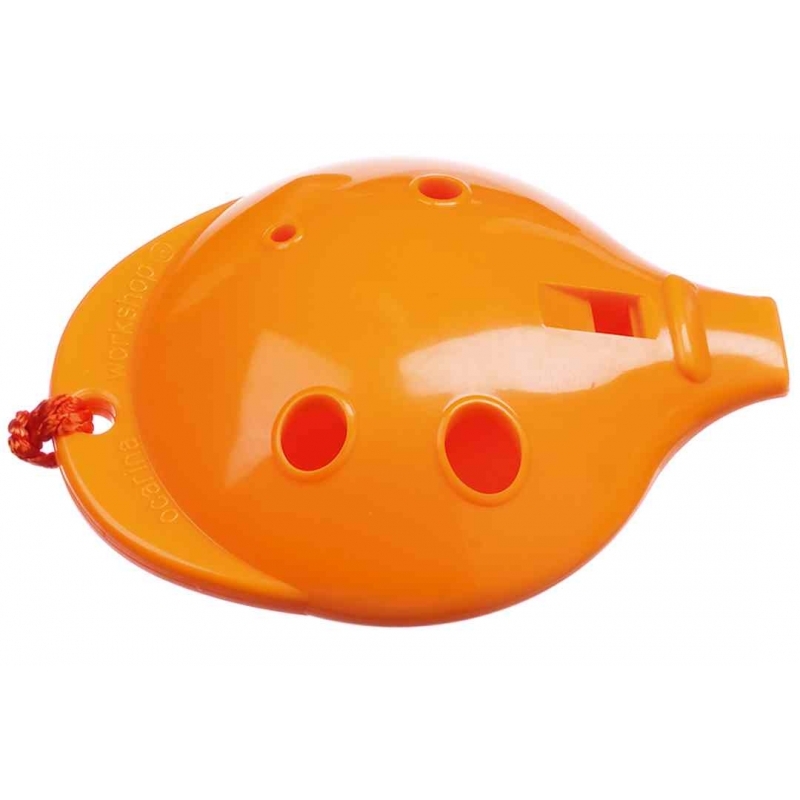 Play your Ocarina Book 1 is recommended to help new ocarina players of all ages play tunes immediately. 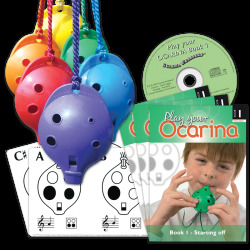 Buy Oc & Book sets here. 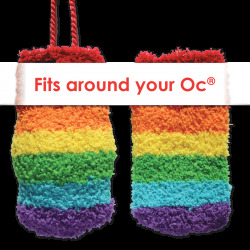 To take advantage of our Multi-buy discounts, select a colour option and add the required quantity to your basket. 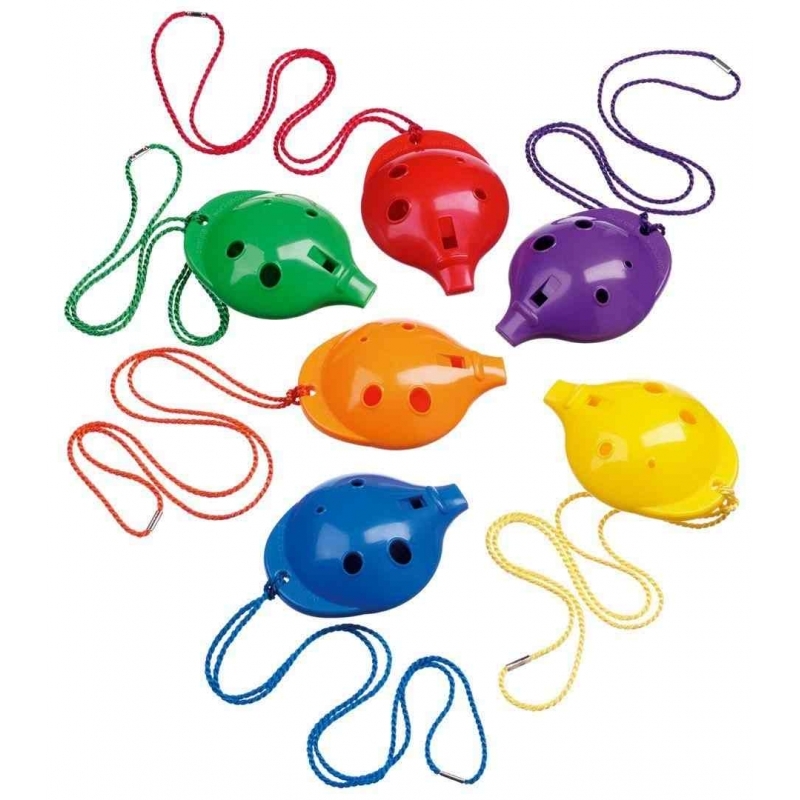 Any mix of colours can be ordered and the discounted price will be applied automatically once the relevant quantity has been reached. 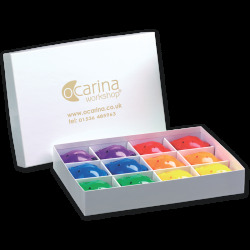 To receive an equal mix of colours, select the multi-colour option.